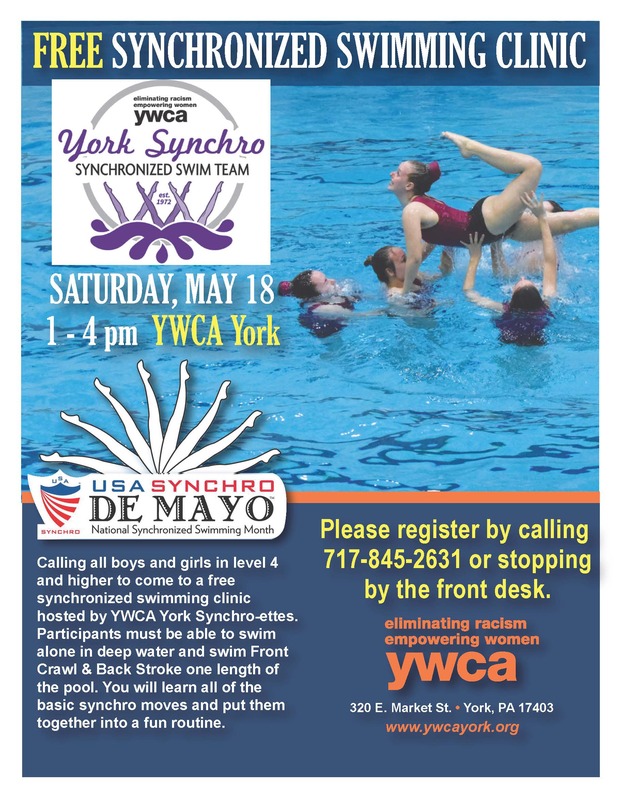 Calling all boys and girls in level 4 and higher to come to a free synchronized swimming clinic hosted by YWCA York’s Synchronized Swim Team. Participants must be able to swim alone in deep water and swim Front Crawl & Back Stroke one length of the pool. You will learn all of the basic synchro moves and put them together into a fun routine.